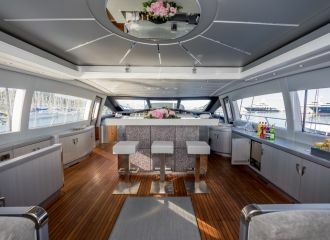 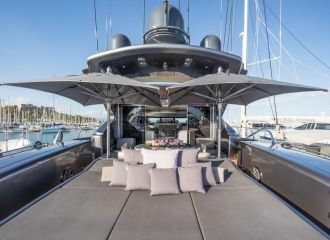 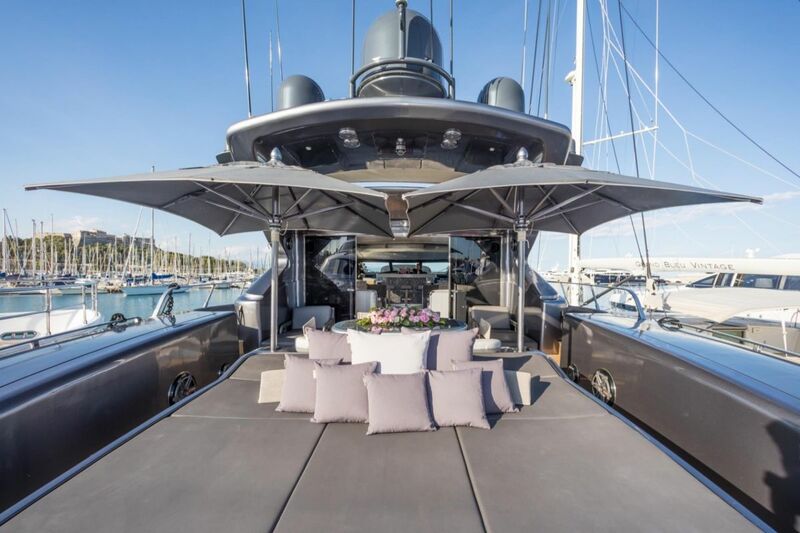 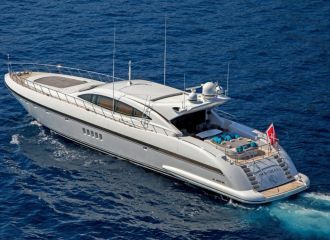 This stylish Mangusta 108 is available for a south of France yacht rental exploring glamourous St Tropez, Cannes and Monaco. 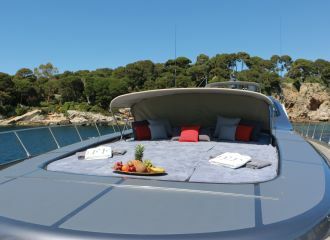 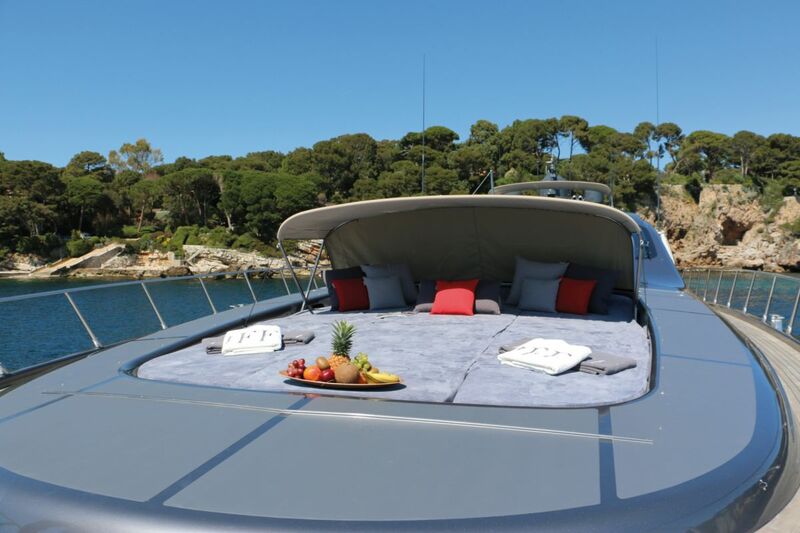 The yacht boasts several relaxing, sunbathing and dining areas, ideal for a fantastic day charter or for a week cruising around the French Riviera by yacht. 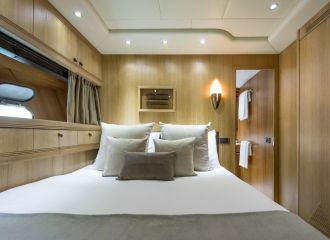 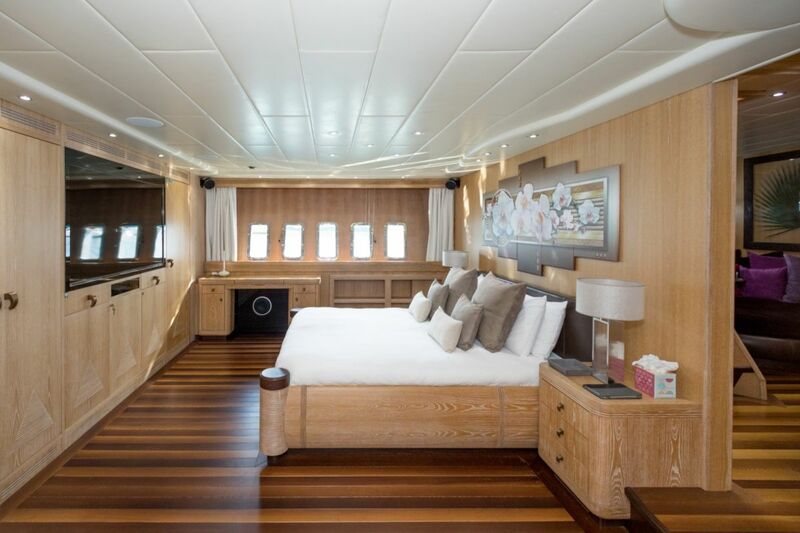 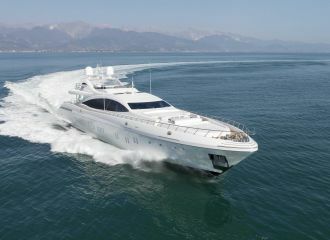 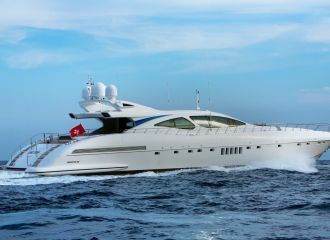 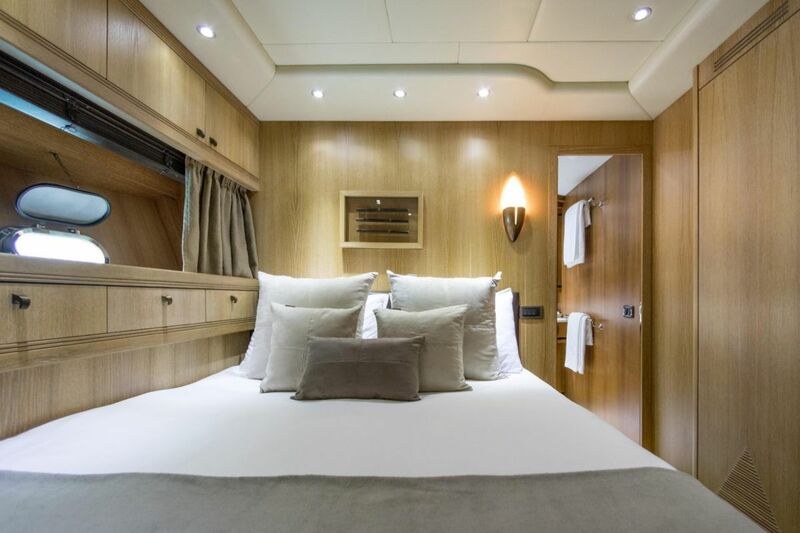 This Mangusta 108 offers accommodation for up to 6 guests in 3 double cabins, all with en-suite facilities. 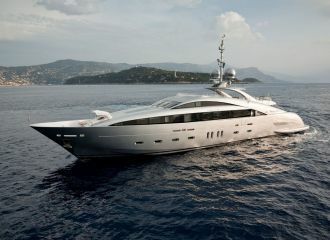 total 10400	€ Excluding VAT and APA ?